Corby Access Control Systems and Corby Keypads have been locking doors and protecting millions of people for over 40 years. We invented the first Digital Keypad back in 1972. Now we manufacture and sell simple and ultra-sophisticated systems to thousands of Security Professionals, homeowners, Fortune 500 Companies, the United Nations, US and foreign military services, NASA, the Secret Service and the FBI. We keep good company. With Keypads, DataChips, iButtons, Cards and over 300 products in our line we're ready to be your favorite and most trusted supplier for Security and Access Control Systems. If you need product, prices, quotes, bids or need us to layout a complete system for you then you're at the right place. Pick up the phone or send us mail. We are... passionately dedicated to your success. On August 8, 2005, President George W. Bush signed the Energy Policy Act of 2005. This Act revised the time change dates for Daylight Saving Time in most of the United States. Beginning in 2007, DST began on the second Sunday in March and will end the first Sunday in November. The Secretary of Energy will report the impact of this change to Congress and... Congress retains the right to resume the 2005 Daylight Saving Time schedule once the Department of Energy study is complete. Our rugged and time tested System2 Access Control System supports over 6,000 users and each user can be added or deleted in seconds using the built-in Programming Keypad. The programmable relays can control almost any device including electric door locks, arm or disarm Alarm Systems, shunt Alarm Devices, or operate Garage Doors. Our Sales and Support Team are top notch people who live and work in and around the wonderful city of Allentown, Pennsylvania. 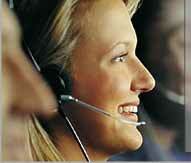 We're 100% USA with no offshore call centers and very proud of the quality services we deliver. Pick up the phone or send us mail... we're here to help.